North Korea has accused the US of demanding unilateral denuclearization and said their attitude was "extremely regrettable." US Secretary of State Mike Pompeo had a different takeaway, saying the talks were "productive." 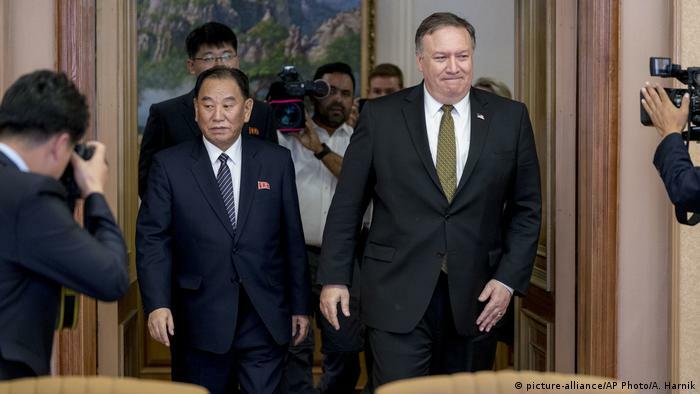 US and North Korean officials gave conflicting statements following the conclusion of high-level talks in Pyongyang on Saturday that took place following last month's summit between US President Donald Trump and North Korean leader Kim Jong Un. Read more.